Some facts about Haas Yes he was expelled. I have the edict in front of me. He was not afforded a Masonic trial again. Our Grand Master cites a section (27.01c) that does in fact say that the EA and the FC should not be re-conferred. Doesn’t say that they can’t just says they shouldn’t. This is a lame excuse to take this action. If in fact this is this Grand Masters position they he should, he must, and is now bound to expel any Ohio Master Mason that has ever been a pro-tem candidate at their Lodge Inspection or any other time a pro-tem is used. There is no difference. Lets be very clear about this WV is AF&amp;AM and Ohio is F&amp;AM. They are not the same degrees. So if I want to belong to AF&amp;AM lodge then I must surely have to conform to their ritual and the same would also be true. Frank was never given a masonic trial in WV and was never charged with a Masonic offense. ; Even the Supreme Court of WV ruled that what they did did not follow their own rules. The only offense Frank was guilty of was trying to bring WV into the 21 Century. It is well documented that WV Grand Lodge has taken their cause to other states to try to convince them to cut ties with Ohio over this issue. Our grand Master has chosen to take the easy way and has bowed to outside pressures. He has also basically slapped the 3 previous Grand Masters in the face by these actions. I will be sending a letter of protest to our Grand Master, maybe he can expel me in return. Bro. Jay, maybe you could clarify this because I think I’m missing something. Are you saying that the current GM of Ohio has expelled Haas in order to appease or accommodate WV? And that WV has asked other GLs to pressure Ohio to do this? An aside: I think that it’s picking nits to claim that the AF&AM degrees are not the same as the F&AM degrees. With the exception of PA, most of the GLs in the US use some variation of the Preston-Webb lectures, and the differences between the states are relatively minor. Take it how you will. 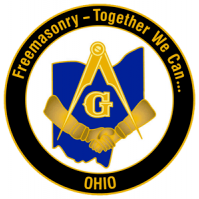 I am saying that yes there are Ohio Masons that have degrees conferred on them more than one time. To help there Lodges at inspections. And yes I have set in degree work of AF&AM and there are differences, many as a mater of fact. No one is nit picking , but explaining the truth is what this is all about. You can’t have it both ways. If it is done at all degree day and at inspections, then doing that to Haas is the same. Yes WV has gone to other Grand Lodges to get them to support their cause. Why are you so adamit as to think that this didn’t happen. Let me say this Tom,the only person that is nit picking this issue is the current Grand Master of Ohio. I know Frank personnely and there is no better man or Mason than him. He has been wronged 2 times all he seeks is a better Masonic Fraternity. Bro. Jay, please note that I was not arguing with you; it’s that your explanation above was vague and I was looking for clarification. I have no doubt that many lodges have used Masons to exemplify a degree, although I have no way of knowing if this is the case with Haas. Either way, I’d agree that this is a pretty sorry excuse. It is well documented that WV Grand Lodge has taken their cause to other state to try to convince them to cut ties with Ohio over this issue. I’d say that this is pretty damning. Could you tell us more about this? I am unfamiliar with the Frank Haas situation. Would someone be kind enough to inform me as to just what happened in WV as well as what has happened in Ohio? Here is some more information on Haas. He was sent a letter asking him to resign his membership, but before he could respone a 2nd letter came informing him that he ha dbeen expelled, Some due process. Again NO TRIAl!! You asked about other Grand Lodgess, North Carolina was approached about this matter and were basically ran off. A brother close to me received a call from North Carolina about this. It would not surprise me that more southren States were contacted in a similar way. What is this Organization becoming. Good people turned away. This Grand Master knew the situation with Haas. He has bowed to WV pressure. West V should be expelled from all Grand Lodges for their stance on this issue. Their stance is not to promote the good of the Fraternity but to keep the craft in check. Wow this thread sure went dark in a hurry. Please look at the links provided by Beehive. Pay more attention to the 2nd one. Frank Haas just received the man of the year award from Stuebenville Lodge #45. How do you explain that!!!!!! Talk to me Tom !! !